In this post I am going to talk to you about another really great social media automation tool, it is BufferApp. This is one of my favorite tools and a great time saver! BufferApp, like some of the other popular automation tools, lets you link up and automate posting to multiple social media accounts from one place. However where Buffer differs is that it is queue based. So your updates get added to your queue and then posted automatically based on the posting schedule in your settings. So instead of specifying a particular date and time, you set up how many times a day (and at what time) you want Buffer to post to a particular network. 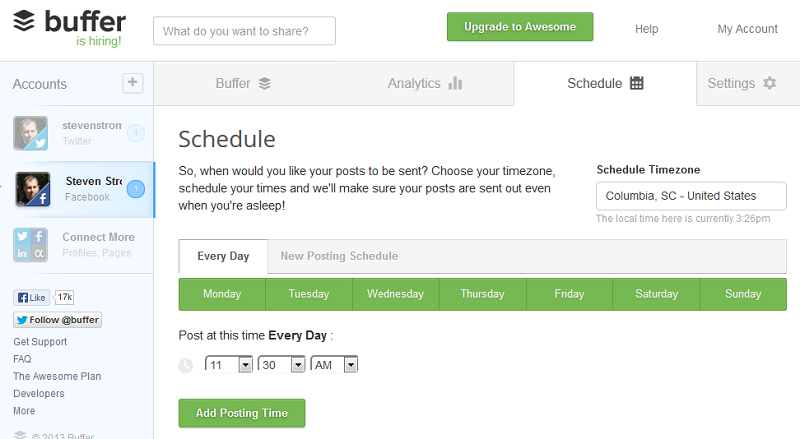 When it is time, Buffer will post the next available update in your Buffer to the appropriate network. Well let’s say you set Buffer up to post two updates to Twitter per day and four updates to Facebook per day. If you have 4 updates in your Buffer queue, then two updates will be posted to twitter today (and two tomorrow) and all four will be posted to Facebook today. The best part is that there is a convenient bookmark plugin. So when you are on the web and you find something interesting you want to post, you don’t need to bother copying the link and having to go to Facebook or some other tool to schedule it, you just click the “Buffer” icon in your browsers toolbar and the post is added automatically to your Buffer queue. 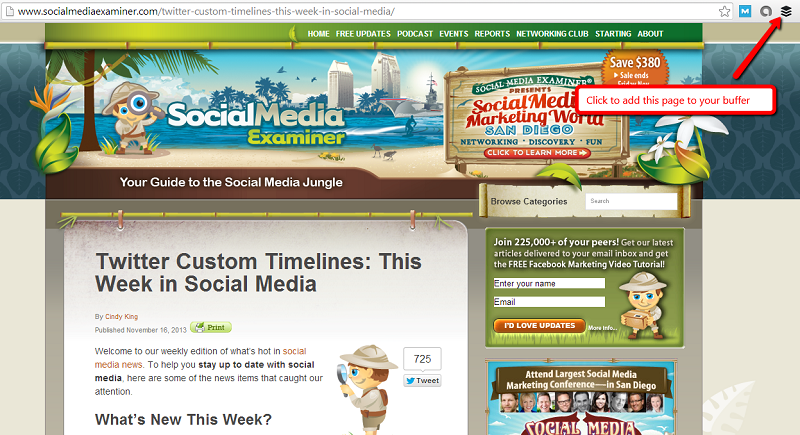 This tool is a great time saver and helps you stay consistent with your posting on social media sites. What do you think of this tool? Do you think you will give it a try?